While color is not necessarily an indication of overall quality, consumers tend to select fresh meat products with their eyes and so perceive colour to be directly linked to a product’s state. Discoloration can occur due to the formation of metmyoglobin from myoglobin, which creates a harmless, yet unappealing, brown color. 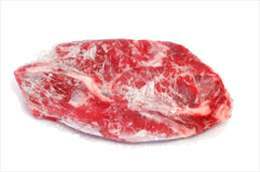 For example, when frozen beef is defrosted, the discoloraion will occur. ﻿Befresh™ DA can stabilize the red color of defrosted meat products for several days.